Fredrik is a Hypnotist, NLP Trainer, Licensed mental Trainer. Leaving a career as an engineer Fredrik Praesto started working as a stage hypnotist. After a few years he moved forward to coaching clients with a combination of hypnosis, NLP and Mental Training. He has coached thousands of people usually with full result after only one session. 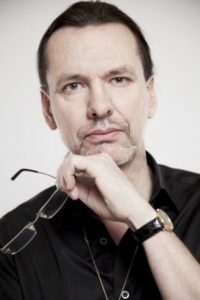 Fredrik Praesto is a certified NLP trainer (Society of NLP), Licensed Mental Trainer, author and co-author of several books including newly released ”Hypnothinking” co-authored with Igor Ardoris. He is also on the bord of Swedish Society of NLP, co-founder of International Hypnotists Guild and Service of Placebo. Since 2006 Praesto has been teaching hypnosis and NLP. Learn how to do impressive stage hypnosis phenomenas. Fredrik will demonstrate these phenomenas and teach you how to achieve them easily. He will also draw parallels between coaching clients and demonstrations of the amazing powers of your mind.